• tracks available exclusively on this CD and/or iTunes. Chinese Songs (1-10, 16, 17) are based on texts and poems by Mao Tse-tung with the exception of "A Picture of Mao" (3), which utilizes fragments of archival propaganda materials from China. Song 17 features text from "Quotations from Chairman Mao Tse-tung." "Swimming" (16) includes excerpts from the United Nations' Universal Declaration of Human Rights. For texts and translations visit Labor Camp Resources. Arabic Songs (11-13, 17), an ongoing project at the Labor Camp, serve as a direct expression of one of its most fundamental methodologies/sensibilities: the careful, critical, and immediate analysis of contemporary social and political reality. Text and voices (in Arabic and English) come from "Tactical Iraqi Arabic for Marine Expeditionary Forces" recordings prepared by the U.S. Marine Corps (USMC) Center for Advanced Operational Culture Learning (CAOCL) to support American troops deploying to Iraq. "Strange Fruit" (12) is based on the lyrics by Abel Meeropol. 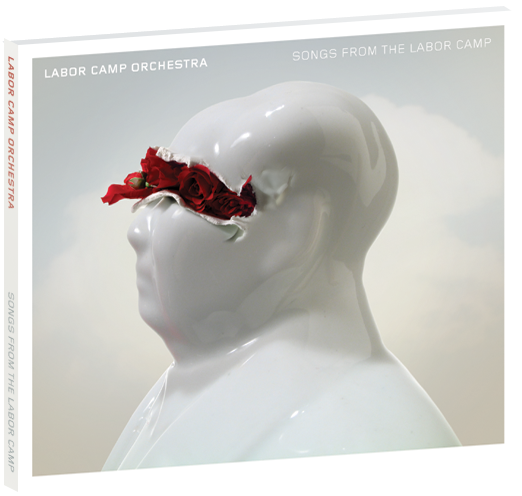 Labor Camp and Love Songs (14, 15, 18) represent additional thematic threads pursued by the Labor Camp Orchestra. "My Angel" (15) is based on a declaration of love in a form of a letter from Zamida to Zarier found on the Internet as a result of Google search for "declaration of love". This simple text offers a strikingly direct and sincere expression of utter capitulation in the face of love. "No End" (18) is based almost entirely on a quote from Gershom Scholem, a prominent Kabbalah scholar: "The story is not ended, it has not yet become history, and the secret life it holds can break out tomorrow in you or in me," quoted in the book "The Nazi Doctors: Medical Killing and the Psychology of Genocide" by Robert Jay Lifton. 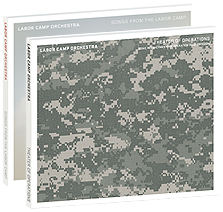 All instruments and voices by Labor Camp Orchestra, with the following additions: David Barnes via LibriVox (English voice in: 16); Cultural Revolution-era archival recording (English voices in: 3); Mao Tse-tung (Chinese voice in: 3); 911-operator recordings from 9/11 (English voice in: 17); Arabic language tapes (Arabic voices in: 12); audio recording of the hanging of Saddam Hussein (Arabic voices in: 12); Leonid Ilyich Brezhnev (Russian voice in: 18); and original recordings by L. Z. (Chinese voice in: 1, 2, 4, 5, 7, 9, 17); H. Z. (Chinese voice in: 6, 8); Pamela Johnson (American voice in 9, 10, 12, 16); Ava Szychalski (American voice in: 9, 10, 16, 18); Rosemary Szychalski (American voice in: 10, 14). All tracks written, produced and performed by Piotr Szyhalski. This is a beautifully produced high quality CD pressed from a glass master. Mastered at Magneto Mastering, Minneapolis. Design and Photography: Labor Camp. Generous support from the 2007 Ingenuity Cleveland Festival of Art and Technology and the Minneapolis College of Art + Design is gratefully acknowledged. Labor Camp Product © 2007-2009 Labor Camp Orchestra.